Not everyone can — or wants to — work fixed hours. 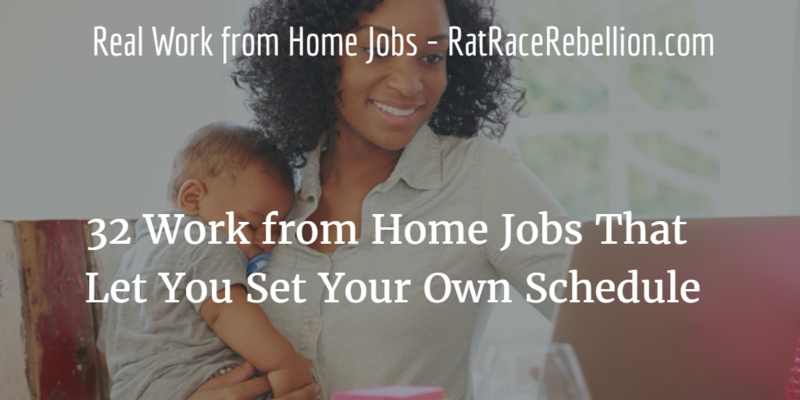 Fortunately, many home-based jobs and gigs let you set your own schedule. Here are 32 open now. ♥ Share the love! If you know someone looking for home-based work, please share the post. They’ll love you and we will too! Thank you! This entry was posted in Set Your Schedule, Work at Home Jobs. Bookmark the permalink.